Oh, wow!! It looks great!!! I really love the sinks! I think it turned out fabulous and I'm so jealous how big your master bath is. Ours is tiny.. but I am glad we have a private bathroom. Our house when the kids were young only had one for the 5 of us to share.. now that was primitive!! 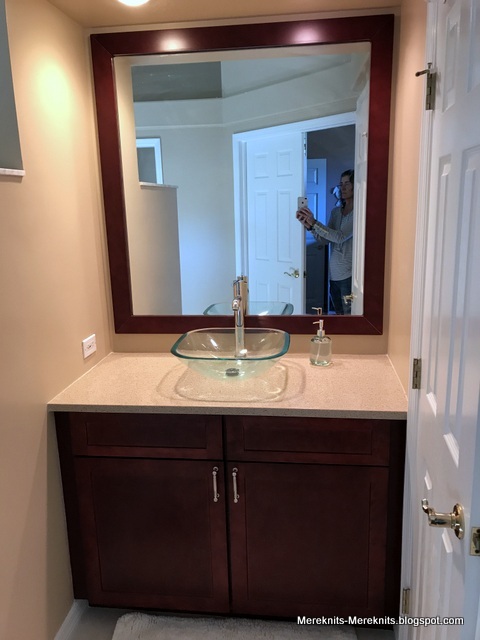 I love all the finishes you chose and the glass sink is aMaYzInG! Looks beautiful. Those sinks are gorgeous! Nice! I'll bet you will enjoy it a lot. The sinks are fun! Looks like the dinosaurs have won over LB! Nice bath! As for dinosaurs, toy ones are probably less intimidating than life-sized ones. Have a nice weekend! Beautiful! I hope you are throughly enjoying your new space. Love those sinks! Great choice. 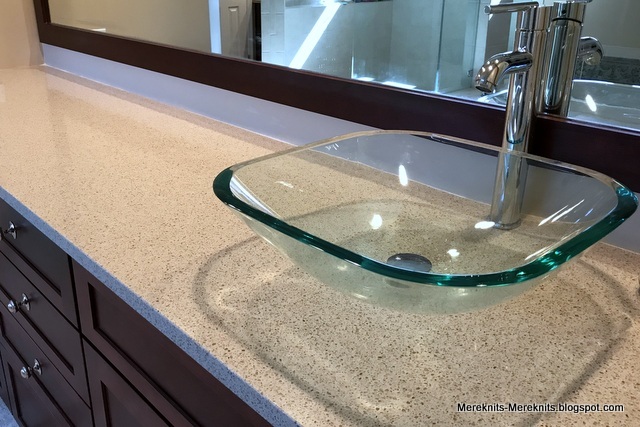 Beautiful - and such lovely glass sinks! Hugs for the dino player! It is beautiful, love the sink. It is always a joy to see Little Buddy his smile lights up a room. Oh my! It's just like watching an episode of 'Buying and Selling' with the Property Brothers which I'm totally addicted to. I love the houses on it and the transformations. You get so much more bang for your buck in USA in terms of property prices and value and the size of your backyards!! 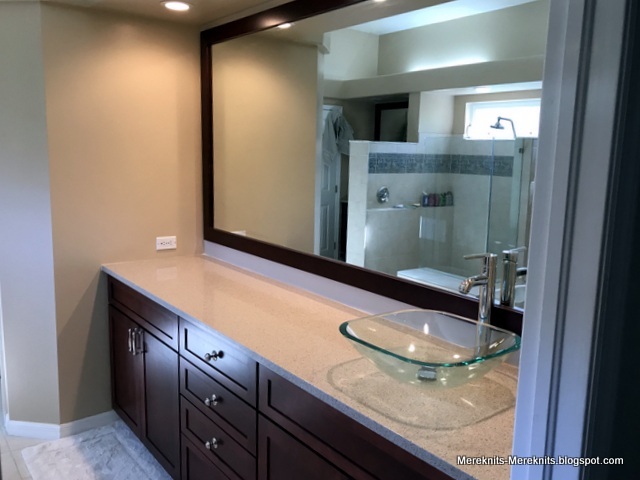 !Anyway, your bathroom makeover is truly beautiful, Meredith and those sinks are divine! Good job all round. Drew and Scott would be proud of you!! 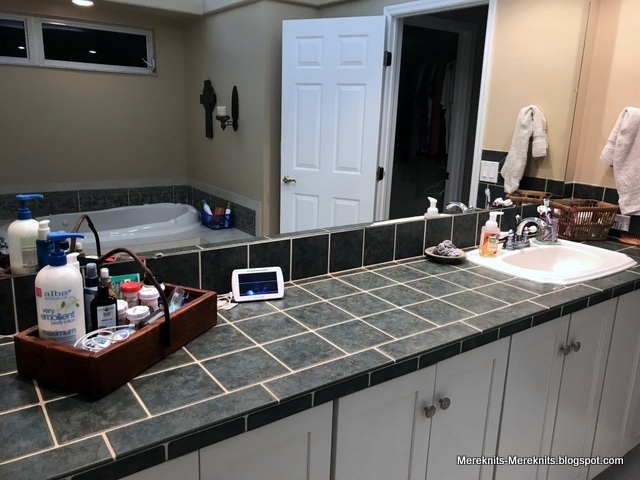 Look at all the counter space in your bathroom! I am jealous. So glad it was all worth the wait. The bathroom is beautiful. Love the sinks! Wow! I'm jealous of your bathroom. It looks fantastic! What a beautiful makeover Meredith. I keep thinking our bathrooms are new because we build the house in 2002 and they were brand new then! They really are dated, but it’s a project I’m not going to take on right now. I love your new countertops and sinks. They are so clean looking. Just look at little buddy playing with his dinosaurs. I’m glad that the trip to dinosaur Park didn’t traumatize him forever! Ha! you get an A+++ for patience! I would get the proverbial F. is there an F---? oh my. no X rated intended!!! seriously. that is the one thing that rings my bell. or sets me off. or makes me cranky. a bathroom that is unworkable in any way. well. it's the one thing I own up to anyway! but you did a beautiful job! I love it. I'm rather a minimalist. I like the simplicity of it. Zen almost. it's clean and serene. OH! that's a good line for a bathroom. Clean and Serene! and the picture of that darling little Buddy. It looks beautiful. Congratulations. The sink is really cool. Your before photos look more modern than my bathroom. I love the vintage look, though. Oh! How well I know the headache of bathrooms! Last year we ordered a tub from Kohler and found out their facility had BURNED and so the product we wanted was unavailable from them, etc., etc. But it all finally worked out in the end. 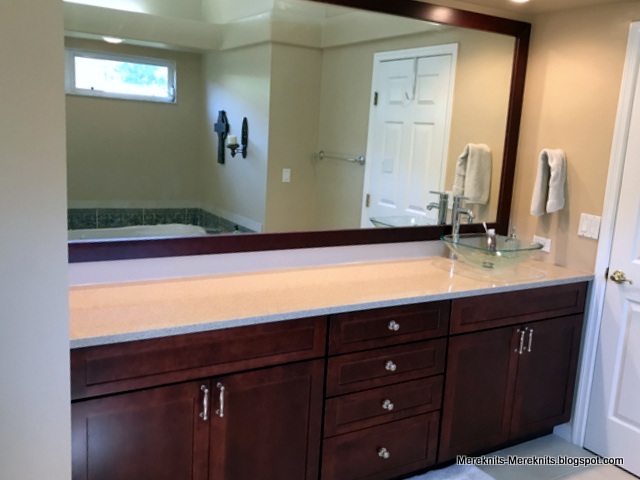 Your bathroom looks great! And Little Buddy and his dinosaurs reminds me of my boy who famously said one morning as he got out of bed, "Ow! Ow! My foot! I stepped on a caveman!" Renovations can drag on for a long time! Glad you finally have your bathroom again! It looks fresh and lovely. And what a difference-it is ALWAYS hard to do a renovation job! But now you can enjoy it-yippee! Lil Buddy looks pretty engaged-nice time for him. Oooh! So modern, sleek and shiny, especially the basin. I bet you feel refreshed just looking at it in the morning! I did like your candle holder on the wall of your old bathroom. Where do bath-time candles live in your new bathroom? I got a little bit excited to see LB with his toys. I thought "Look at 'dinosaur boy' who didn't want to go to the theme park but is happy playing dinosaurs now!" 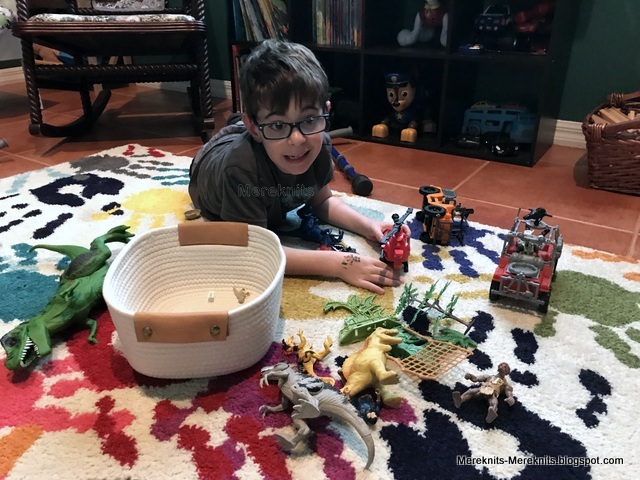 Do you think the park stimulated his imagination and motivation to play with his dinosaur toys especially, or are the dinosaurs always favourite playthings? Congratulations on your latest renovations. Surviving renovations while still living in the home is a big test and you did it! It looks fabulous, I love the sink. I bet you'll be taking lots of baths now just so that you can lie back and admire it. 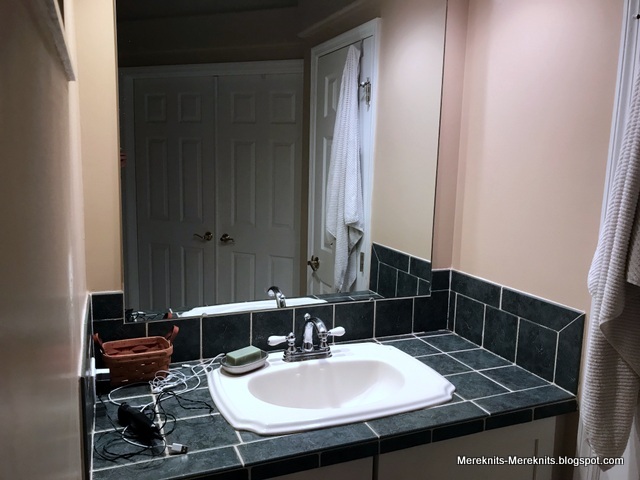 Your bathroom re-do is gorgeous! I love the new cabinets and those glass sinks are fabulous. As always, Little Buddy is adorable. Looks fantastic. We are starting to paint our kitchen cupboards, my husband is doing it. The boys look great. I love it!!! makes the bathroom look bigger and have nice clean lines. Lovely transformation of your bathroom. I agree about downsizing; we need to do it as well and have slowly started to get the house presentable. 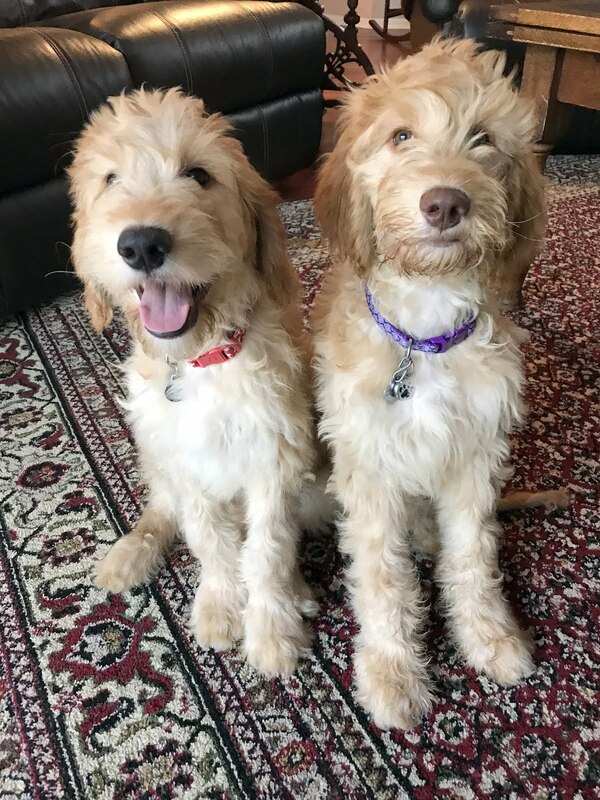 That only makes it harder to leave!